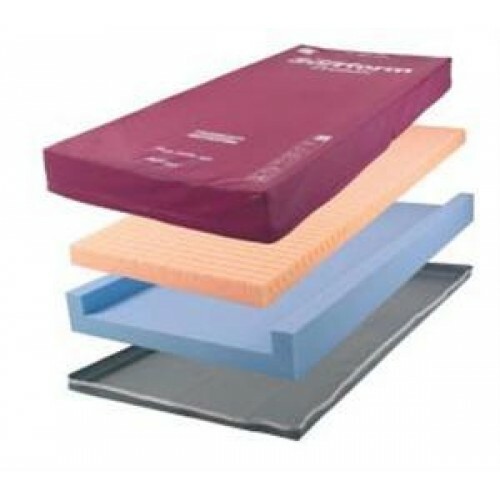 Invacare Softform Premier Mattress High Comfort Level. 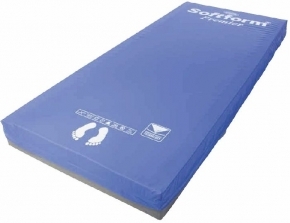 Practical and durable, this mattress delivers exceptional levels of comfort and pressure reduction. The Invacare Softform® Premier is suitable for those considered at 'High / Very High Risk' (Waterlow score - 20) of developing pressure ulcers. The Invacare® Softform® Premier features a unique contoured insert pad, constructed from 'keyhole cut' castellated foam cells, which move independently to provide excellent patient comfort and optimises pressure reduction. The outer cover is a two-way stretch, waterproof, polyurethane fabric with high frequency welded seams; and a full length flap concealing the zip. These features combine to effectively reduce the potential of fluid entering into the mattress. 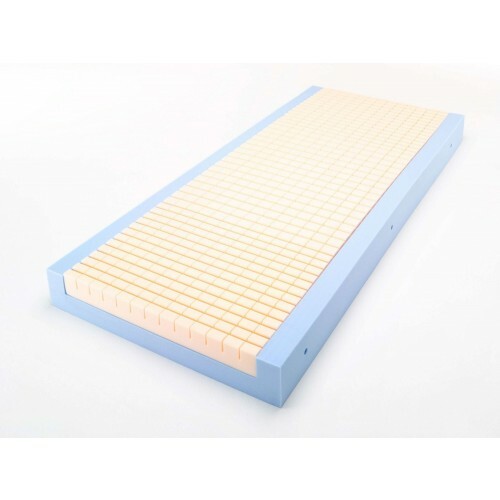 The base of the mattress features a toughened PU coating to prolong the longevity of the mattress. The mattress does not require turning or rotating.